Friday is another fine morning for the Royal Watch aka the group of Americans who are so obsessed with the royal family across the pond that any news we can get about the family is like Christmas come early for us. Those who have been curious about where Princess Charlotte has been this entire time can now rest easy. Despite the fact that we had gotten an official portrait of Prince George by this point in his birth, pictures of the newest royal baby have been scarce since she was taken home from the hospital in May. 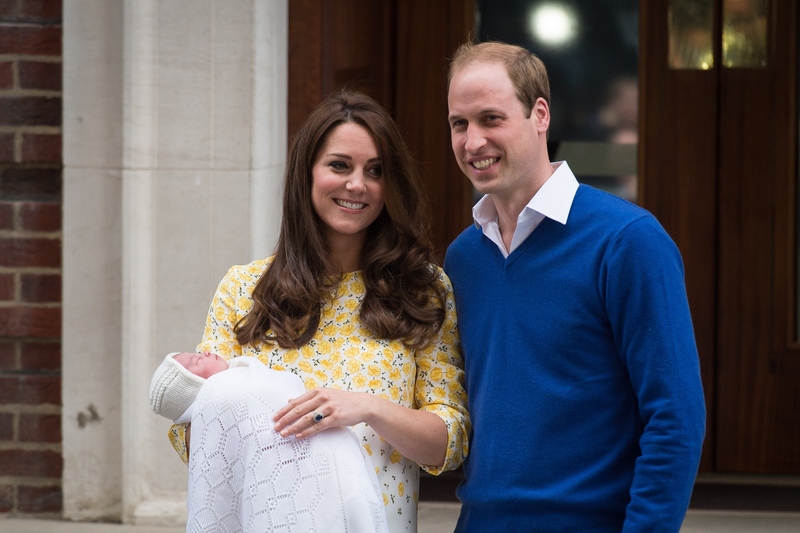 However, on Friday, Kensington Palace announced that Princess Charlotte's christening date has been set for July 5, 2015 — and it will take place in the same church that Princess Diana's christening took place on August 30, 1961. Grab your tissues from now. The young princess is already getting very good at making people wait. While she was predicted to arrive in April, she instead arrived in May — kindly allowing her parents to have time to celebrate their wedding anniversary, of course, but still. Now we have to wait before we can have well over a hundred pictures of Princess Charlotte glaring at Archbishop of Canterbury Justin Welby in St Mary Magdalene Church at the Queen's Sandringham estate in Norfolk? Pictures that we can then compare to old photos of Princess Diana doing the same thing 50 years ago? The wait is literally killing me already, you guys. Then again, it's been a long wait to find out when the christening itself would be, so I suppose beggars can't be choosers. At 1 month old, Princess Charlotte has already captured the hearts and minds of not only her own country, but the United States of America as well. After all, the Duchess of Cambridge married into the family. Princess Charlotte is the first royal at the very top of the line for the throne since its current sitting head, Queen Elizabeth II. If Kate Middleton achieved our secret life goals of marrying a prince and becoming royalty, then Charlotte Elizabeth Diana is achieving our secret life goal of being born into a royal life of luxury and fame. For those of us ladies still waiting for our Hogwarts letter at 25 years old (cough), she symbolizes a lot, OK?